December 12 - 15, 2019 Times: 6:00 pm, 7:00 pm, 8:00 pm and 9:00 pm (show at the top of each hour) Where: Art Show projected on Camelhead Rock (next to Snoopy Rock). 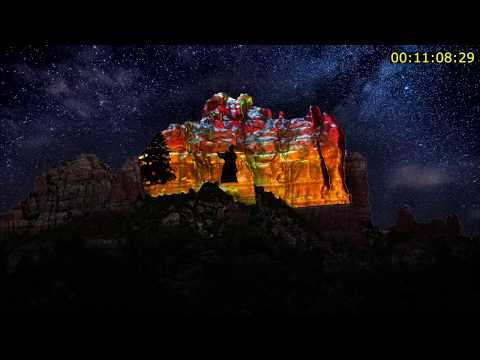 Celebrate the holiday season in Sedona, & witness the country's largest 3D holiday light show in The Most Beautiful Place on Earth. It is 4 days, don't miss this once in a lifetime chance to see this spectacular light event & celebrate the Season. Viewing areas throughout Uptown Sedona & Gallery Row. Music will be on KAZM 780AM.